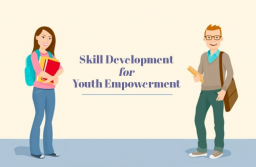 Volunteering and Internship are great ways to enhance learning and encourage positive youth engagement and participation, as well as increase awareness and support for the youth. While academic training supports an individual’s overall development, engaging with activities related to one’s field of interest or specialization paves the way for the young minds to learn about the practical aspects of the world, besides developing their skills, sharpening their awareness and instilling a sense of responsibility and wider awareness in them. It also provides them with the opportunity to interact with other like-minded youth, participate in community workshops and have a unique experience. During vacations and post completion of studies, students have ample amount of time that can be used to pursue either of these. 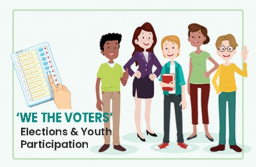 Youth volunteers are a strong force who can usher in a positive impact through their ideas, vision and contribution, and being engaged with a specific cause helps them in reinforcing a purpose and working towards making the world a positive place. Wildlife, nature conservation, eco-friendly ventures, sports, health, community awareness building through arts and culture, and social transformation through services like spending time with the elderly, helping young minds at orphanages experience something new through a planned learning experience are some of the areas that offer good volunteering experiences. Internship, on the other hand, is a great way to develop a professional sharpness. Not only does it bring exposure to significant aspects of the professional experience but it also helps in sharpening their instinct about the world at large. When working on projects that require focused thinking, dedicated efforts and enthusiastic participation, one is exposed to a reinforcement of ideas and beliefs beyond the ideological understanding. Additionally, being in the midst of experienced individuals in a certain ambiance also offers the chance for personality grooming, formal interaction, and strengthens an individual’s performing abilities. There are many organizations in India that offer interesting and valuable volunteering and internship opportunities for the youth such as AIESEC, CRY etc. 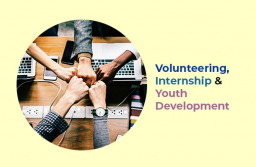 Even within the North East, there are several organizations that offer good opportunities for both volunteering and internship. A well planned and detailed internet search will bring up several names. 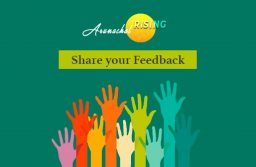 MyGov Arunachal Pradesh invites you to share your thoughts about volunteering, internship and youth empowerment. An internship gives anyone the opportunity to work in such an atmosphere where they build their professional attitude. Govt should take some initiative for volunteering so that youth can develop itself. volunteering nowadays considers vital for students in the long run. Internship projects are mainly prepared for students to improve their academic career skills. Volunteering development effort is a long term investment. Govt should improve the practice of volunteer management. Internships give everyone that hands-on experience. Volunteering should be attached with international organisation like WHO and UNICEF. A first step of self-development.